The National Motorist Association does not support toll roads or user fees intended to limit or ration the use of public roads. Not only are tolls an inefficient and backwards approach to providing funding for transportation, they foster corruption and political patronage. When states rely on tolls to build and maintain one stretch of highway, it discourages improvements on the rest of the transportation system. Tolls are essentially a regressive tax and if it is owned or leased by a private company built with partial public funds, the private company expects to make a profit and the toll road only benefits the rich and not everyone else. Paying $47.55 total to drive the turnpike all the way through Pennsylvania is expensive but the hidden costs of tolls can add up even quicker. Anytime a business has to pay a toll that business puts its added expense onto the customer. This makes goods and services more expensive. Also, all states and the federal government have a gas tax which if used for road transportation funding should be more than adequate to cover the costs. Unfortunately, the gas tax is frequently raided for other state budget projects. If a toll is put in place, will the toll funds raised be used for the road traveled on or for some other program that has nothing to do with roads or even infrastructure? When you look at an overall transportation corridor, the goal is to move people and goods as smoothly, quickly and safely as possible. When a toll is introduced, the system becomes out of whack for two reasons: one road is funded by tolls, the alternative route is not and it now has to endure more traffic from those who want to avoid the tolls. Especially if trucks avoid toll roads which are made for them and instead find alternative routes, this increases traffic issues and road wear and tear because the alternative routes were not necessarily made to handle such a heavy load. Sanctioned and protected by the state but built with private money or even a public private partnership or PPP, a toll road pushes out realistic alternatives for moving people and goods. Highway users (or customers) have little influence on management and pricing of the toll road. Due to funding issues, improvements to non-toll alternatives are viewed as competing with the toll road and likely ignored. Instead, these non-toll roads have more congestion, under posted speed limits, more traffic accidents and many times, traffic enforcement that is questionable. Today, toll collection invades our privacy by tracking where we’ve been and how much it costs through transponders or automated license plate readers. Will this invasion eventually limit where we can go when we want to go? Regular tolls are categorized by four different systems. Unmanned Automated Toll Booths utilizing automated license plate readers mounted on overhead gantries (usually piping that is placed over the road). Unmanned Wireless Automated Tolls utilizing transponders on cars and automated license plate readers for those cars without transponders all placed on overhead gantries. High-occupancy vehicle or HOV lanes require a minimum of two to three people in the car and generally not tolled on regular highways. Some cities though have turned HOV lanes into high-occupancy toll or HOT lanes that allow single occupant cars to pay a variable fee to use the HOV lane. If you live in northern Virginia and take I-66 as a single occupant, you might have the pleasure of paying upwards to $50 for a drive during rush hour. HOT lanes is one form of congestion pricing which is utilized primarily by cities to charge motorists with more fees if the streets or roads are in peak demand. The most heinous part of tolling is that motorists already pay for roads through the gas tax and we also pay for roads by paying higher prices on goods and services due to the gas tax. Then motorists will still have to pay yet another toll or tax to use the road? What if the money raised for this toll or regressive tax isn’t even used to maintain the road we are using? Tolling is a motorists’ rights issue and more motorists need to stand up and say we want a voice in tolling. A 2018 Texas editorial asked a very important question: Should all toll road projects be subject to a public vote? You betcha! 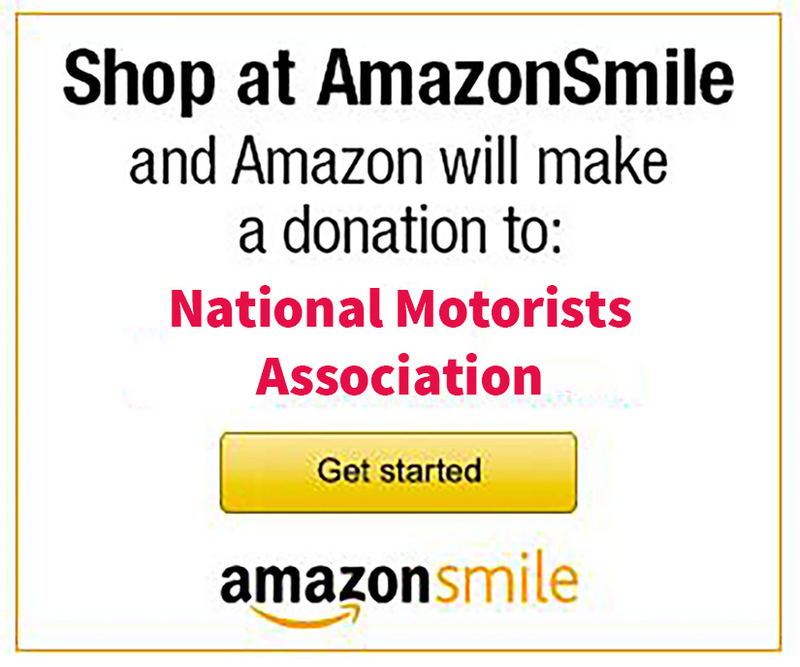 Join the National Motorists Association today to have your voice heard against tolls and other important motorists’ rights issues. About ten years ago Ohio raised the speed limit and lowered truck tolls on the Turnpike to make the road system as a whole work better. They wanted traffic on the highway, not the two lanes. Collecting fuel taxes and transmitting them to state & federal authorities costs about 1% of the amount collected. Collecting and transmitting toll fees costs 10% to 20% of the amount collected. On this basis alone, tolls should be rejected as too expensive to utilize compared to fuel taxes.